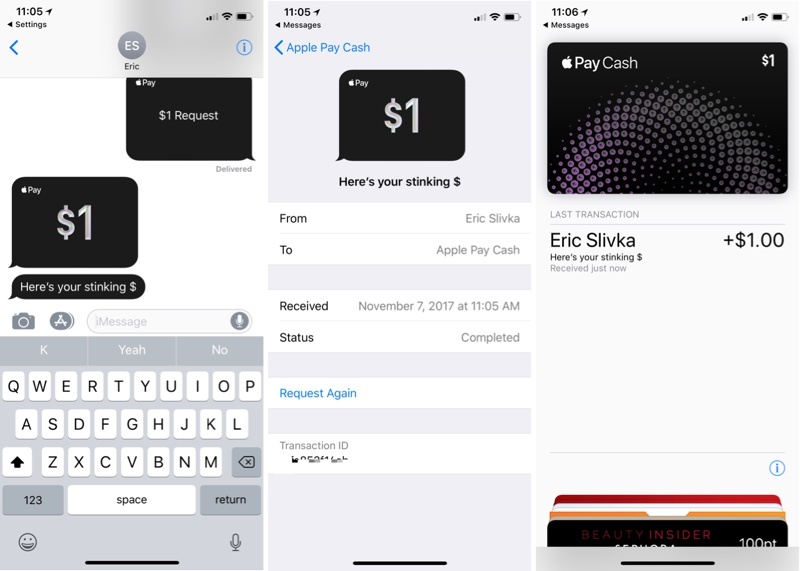 Apple Pay Cash, Apple's peer-to-peer payments service, became available for developers and public beta testers in the United States this morning with the release of the second iOS 11.2 public beta. The feature appears to be still rolling out to some users, but most testers who have iOS 11.2 beta 2 installed should be able to access the service. Here's how to use it. Tap on the Apple Pay Cash card that appears there. Apple will walk you through the setup process, and ask if you want to enable Apple Pay. You'll be directed to the Settings app to confirm your information. From there, Apple Pay Cash will take a few seconds to activate. 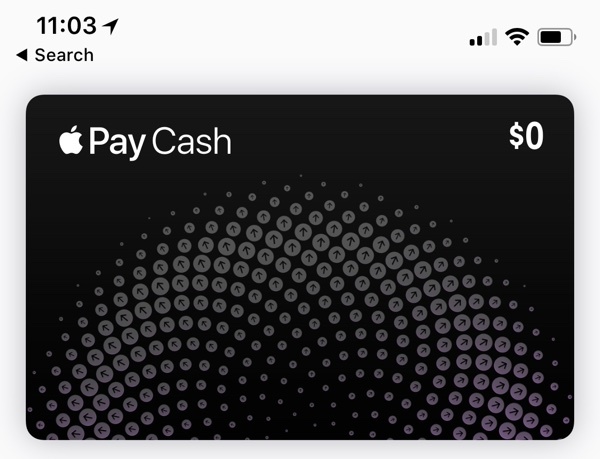 Once activated, an Apple Pay Cash card will appear in Wallet and you'll be able to access Apple Pay Cash in the Wallet app. Alternatively, you can also use the Settings app to enable Apple Pay Cash. Go to Settings > Wallet > Apple Pay > Apple Pay Cash and tap the button to toggle it on. Sometimes this option won't show up until it's been activated through the Wallet app, though. Choose the "Apple Pay" icon. Tap the "+" or "-" buttons to enter an amount, or use the keyboard. You'll have an option to preview your payment or request for payment. Press the blue arrow button to send. When sending a payment, the money you've sent will be listed as "pending" in the Wallet app until the person on the receiving end accepts. Once accepted, the payment will be listed in "Last Transaction" under the Apple Pay Cash card in Wallet. While still pending, a payment can be cancelled. 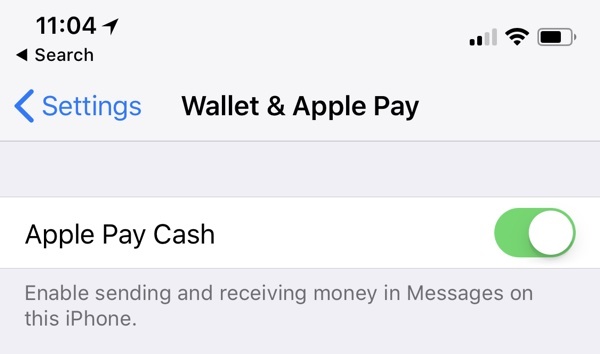 Money that you're sending will be pulled from a linked debit/credit card or from the Apple Pay Cash card itself if you've added funds to that card or received funds from other people. If you send money using the Apple Pay Cash card or a debit card, there's no charge. For a credit card, there's a 3% fee. When accepting a payment, the cash will be added to your Apple Pay Cash card in the Wallet app. 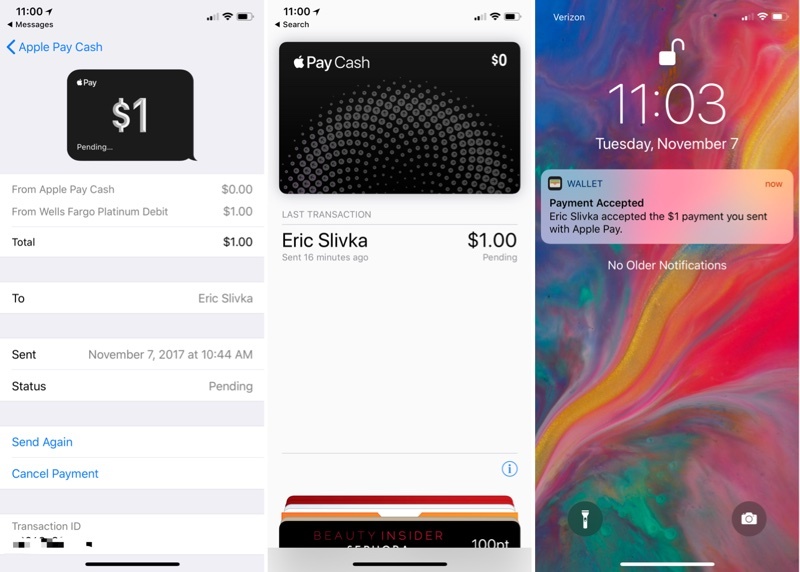 From there, it can be used to make purchases where Apple Pay is accepted like any other card or it can be transferred to a connected bank account. Apple Pay Cash works in any conversation with a single person. The option won't be available for group messages. Tell Siri to send a payment. Example: "Send $1 to Eric." If multiple payment apps are installed, you'll need to confirm that you want to use Apple Pay. Unlock your iPhone using Face ID or Touch ID. Double click the side button to pay on iPhone X or put a finger on the Touch ID Home button to confirm payment on other devices. You can access your Apple Pay settings in the Settings app or through the Wallet app. Go to Wallet and Apple Pay. Tap on the "Apple Pay Cash" card. 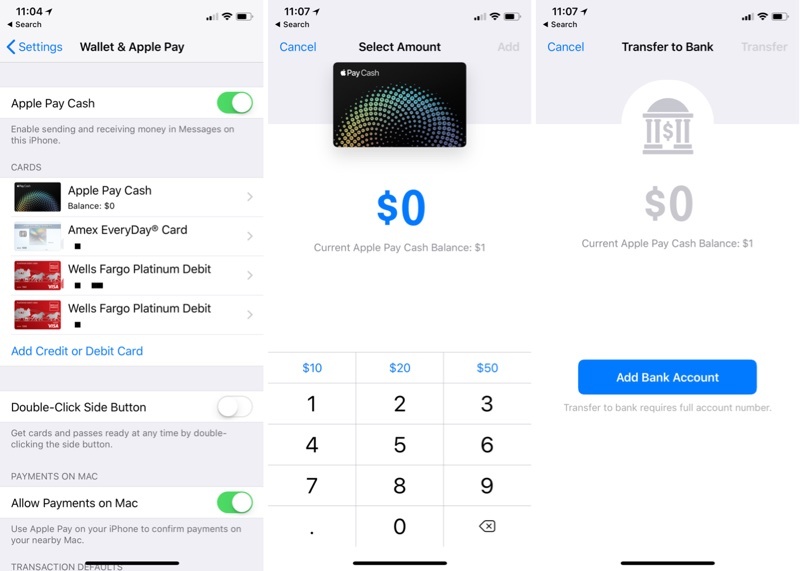 From this interface, you can add money to your Apple Pay Cash card, transfer your cash to the bank (which requires adding a bank account) and choose to automatically or manually accept payments. Once you've sent or received a combined $500 with Apple Pay Cash, you will need to verify your identity. 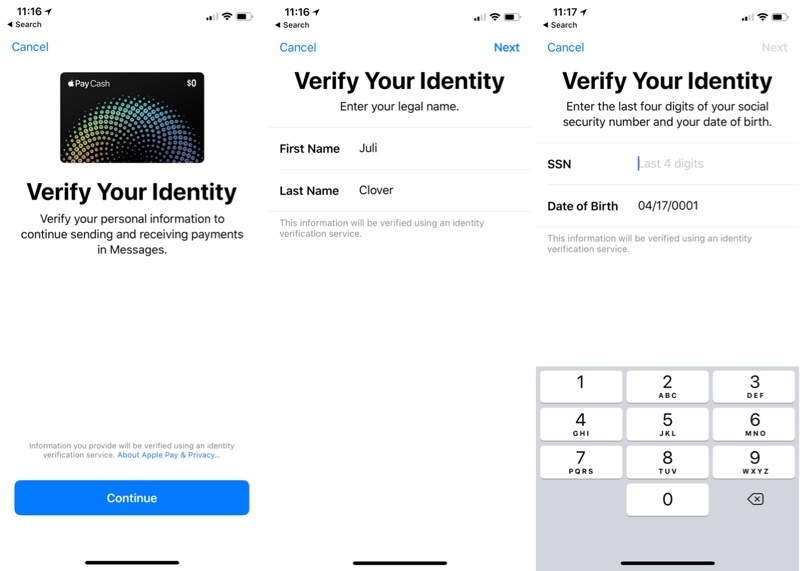 Identity Verification is available in the Settings app, but it may not be fully functional at this time. You will be asked to confirm your legal name and address, along with the last four digits of your social security number and date of birth. Apple will also ask questions related to your personal history and request a photo of a driver's license or state ID card. Once your identity has been verified, you can have up to $20,000 on your Apple Pay Cash card. There are limits on the amount of money that you can send per day and per transaction, and the amount of money you can add to your Apple Pay Cash card. When adding cash, you must add a minimum of $10 per transaction, but you're not able to add more than $3,000. Over a 7-day period, you can add a maximum of $10,000 to your Apple Pay Cash card. When sending or receiving money, you can send/receive a minimum of $1 and a maximum of $3,000. Over the course of a 7-day period, you can send/receive up to $10,000. Transferring money to your bank can be done at any time. A minimum of $1 can be transferred at a time, or less than a $1 if your total balance is under $1. Up to $3,000 can be transferred in a single transfer, and over 7 days, you can transfer up to $20,000 to your bank account from Apple Pay Cash. Both parties must be running iOS 11.2 beta 2. An iPhone 6 or later must be used. Two-factor authentication must be turned on. You must be in the United States with a U.S. credit/debit card and social security number if verification is required. An eligible credit or debit card must be available in Wallet. 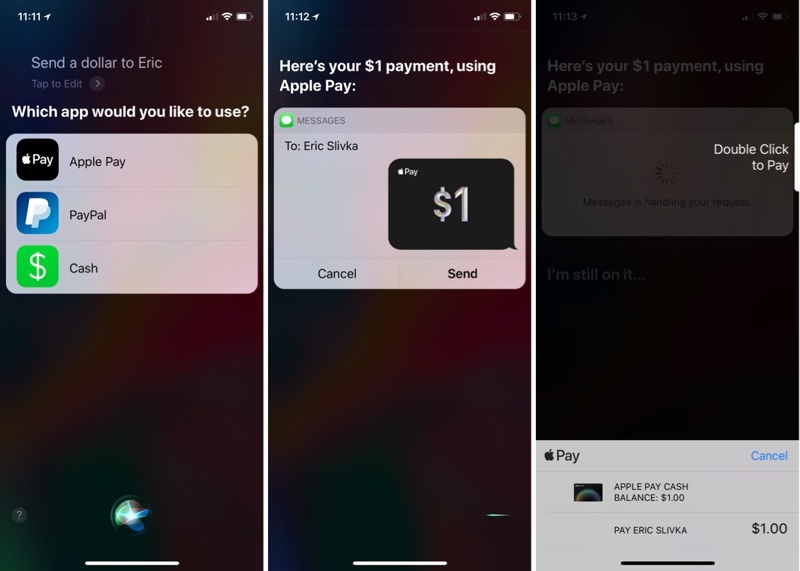 Along with iPhones and iPads running iOS 11.2 beta 2, Apple Pay Cash can also be used on the Apple Watch on devices that are running the second watchOS 4.2 beta. 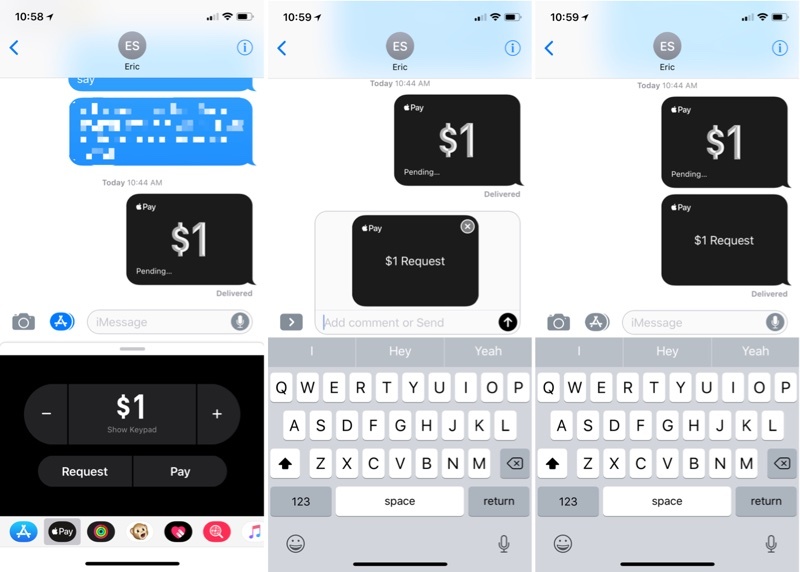 Sending money from an Apple Watch follows the same general process as the iPhone, with payments made and received through the Messages app. Drug dealer: "I got some kilos of cocaine." Drug buyer: "I'll send the money to you" (press blue arrow) "okay...done." Sure , but it costs me nothing to send money via my Barclays app. 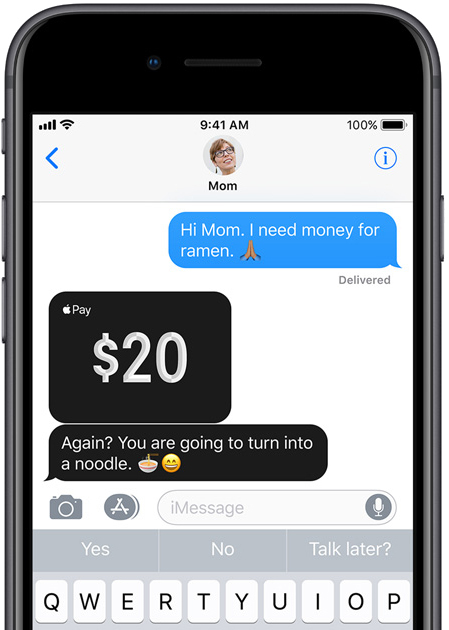 Hi Mom, need some money for ramen. Mom: Im sending over your resume, get a job. Rest in Peace to that $1 that the writer spent when creating this article. Surprised anyone has any cash left. I'm sure many will complain but 3% fee is standard across the industry for the most part. Your credit card company charges them a fee so it's passed along. Anybody else not get the menu selector to enable Apple Pay Cash? I updated and I'm on an iPhone 7. Silly question - if we are in US and add some cash to Apple Pay Cash, and if we travel overseas, we should be able to use it at a NFC terminal right? I'm sure there'll be some exchange rate discrepancies, but it should work? You may have problems because it's not a Visa or a MasterCard. The card is a Discover Debit Card which is issued by Green Dot Bank. See Here ('https://www.discover.com/credit-cards/help-center/account/international-use.html') for international acceptance, the page shows what logos to look for while you're overseas at the bottom of the page they change for each region you select at the top. They also have to support contactless Discover. I wonder how long it would take to deposit the money in the bank.... one business day maybe? i'm kinda intrigued to use this.